The company employs a team that’s been in the website hosting business for over 10 years. It offers flexible plans making things simple for any hosting customer. Better yet, it can cater to business, personal, non-profit, and social website needs. There’s also a strong focus on online security. Website builders are online and let customers generate blogs and even use HTML code on their own. In addition to unlimited mailboxes and forwards, the company includes spam management tools and a range of other features as standard. Each plan comes with unlimited disk space, network bandwidth, databases, and domains. It even offers VPS and dedicated server options for businesses. In addition, iPage claims it is 100% wind powered. Being environmentally conscious is a good thing, but the tools it offers customers are even better. From a beginner’s tutorial to a site builder with over 100 templates, to scripts and applications, it offers a great deal in terms of building a functional site from scratch. It has also partnered with Verisign, ShopSite, and Google to offer even more. 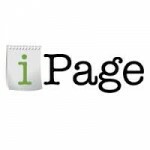 Our iPage coupon code, “ONSALE” is available for iPage and gets you 75% off web hosting services. Introductory prices starts at $1.99 per month, plus the company now offers a 30-day money back guarantee to make this affordable for anyone. Get the best in website building, marketing, security, email, and WordPress hosting tools for an unprecedented low price. Our discount code lets you take advantage of all these and more. Simply apply the coupon code during signup and it will be automatically deducted from the offered plan price to save with any subscription. We’ve found iPage’s Linux- and Windows-based hosting to be quite flexible. Unlimited bandwidth, space, and email helps. You also get a range of tools to design and build your website, market it, and sell online. Technology factors in quite well here too. You get your own Web hosting control panel, an Enhanced Security Suite, plus 24/7 network monitoring. Load balanced servers offer high performance while the service gives you visitor and traffic statistics as well. Standard, VPS, and dedicated hosting options are available as is WordPress hosting. The company also offers domain, website management, and e-commerce services too. Its knowledgebase and user guide are quite extensive, covering a vast range of topics and enabling you to learn about every facet of each supported feature. The company has a range of uses covered. It is ready to serve anyone ready to launch and run a site, start a blog, or build an online store. While there are no month to month plans, the system offers an easy set up process and a diverse set of features. You’ll also find substantially higher renewal prices. The website also notes free domains registered through iPage are subject to a $15 fee if an account is cancelled and you decide to keep the domain. These are just minor details. If you want to take advantage of what iPage has to offer, then our discount code is the way to go. Shared Hosting: Shared plans can be signed up for in one-, two-, or three-year terms. The introductory rate is now $1.99 per month, less with our coupon code, and is a bargain considering what is included. VPS Hosting: Virtual private servers start at $24.99 per month. These are great for high volume traffic and if your requirements are more stringent than what a shared server can offer. Basic, Business, and Optimum plans are available for Linux-based servers, starting at 1GB of RAM, 40GB of storage, and a full terabyte of monthly data transfers supported. Windows servers support the ASP.NET framework. Dedicated Hosting: Dedicated servers are configurable. You can have up to 1TB of storage and 16GB of RAM. Up to 15TB of transfers per month are supported as well. WordPress Hosting: A WP Starter plan and WP Essential plan are available, depending on your required blog performance and level of support. Themes, plugins, and a customized control panel are included. You also get SSD-based infrastructure and SiteLock security. Existing WordPress blogs can be easily imported. SiteLock security is included free with each account. Customers are provided with a daily malware and spam scan and continuous network scanning on the back end. Business verification is provided too and appropriate certificates are displayed. There is also anti-malware for email while users have the option to define the .htaccess file to restrict server and website access. Online stores can be created using ShopSite. The icon is located on the control panel interface. A basic version, with the Essential plan, sets a 15-product and 5-page limit. Use the store creation wizard to create pages, define products, and establish payment options for customers. The wizard includes modern templates. A full featured Ecwid E-Commerce shopping cart is available. PayPal credit card processing is supported while positive SSL and extended validation SSL certificates are available as well. When you sign up, iPage includes a $100 Google Adwords offer and a $100 Yahoo!/Bing credit. In addition to a free YP.com listing, you get a site analytics suite and a toll-free phone number. Marketing services include Google Apps for Work, SEO tools, and the Constant Contact tool for building and managing email marketing campaigns. Phone, email, and chat support is available 24/7, according to the company, while we found some questions prompted the representative to direct us to the knowledgebase. Responses, however, were fast and the phone agents are based in the U.S. The strong point is the company’s online help resources and video tutorials. Domain registration is simple plus there’s the advantage of domain privacy, tools to speed up webpage load times, and to transfer domains. Subdomains are also provided so you can direct traffic to key webpages. In addition, there’s an Automated Domain Renewal Service that’s at no extra cost. There are many advantages to signing up with iPage, so take advantage of our coupon code today.